A different sort of narrative. We are introduced to a darkened elevator (in fact all the lights are out in this building of a certain era), we rise to the first floor. No one awaits. The most characteristic of former regime interiors, utterly without soul. We wait. Then, from a great distance, clicking heels approach, something akin to the experience in Venezia, where one hears footfalls, but no one appears. Someone did appear, Maroš Balog, who leads us down corridors choked with furniture. "We have reorganised," he tells us. 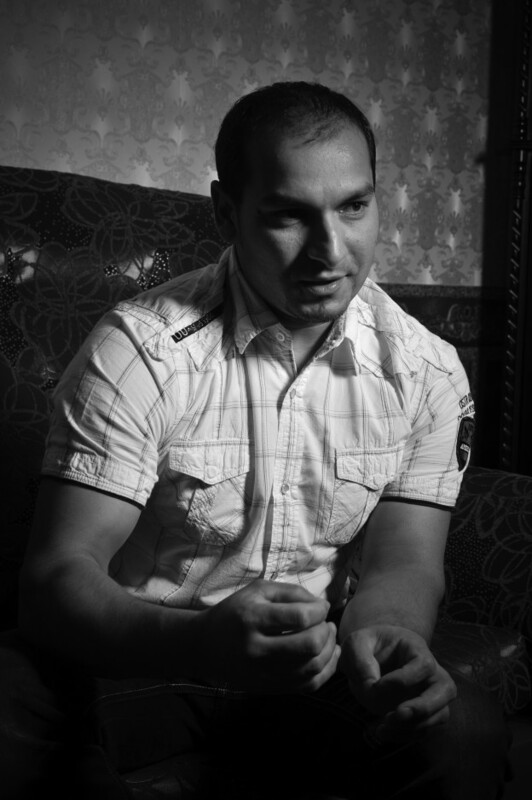 Romani representative for social affairs in the city government of Banská Bystrica. He is a career advisor. Higher education, and a quick knowledgeable wit. With aspirations of authorship. Delightful gentleman, as one can perceive. That Mr Balog works in the same district as the elected fascist Regional Governor Marián Kotleba is quite sobering. My parents were musicians, so any chance to photograph someone in music is special. But there was no imagining the Artist who awaited. 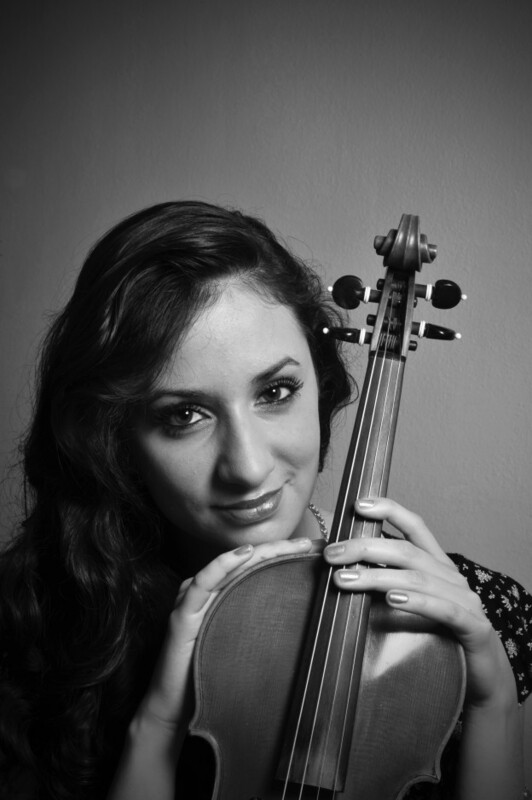 The young Slovak violinist Mgr Barbora Botošová is as complete a musical practitioner as I've ever known. She plays Bartok, no problem. Manoushe. Of course. Straight ahead jazz. Check. Traditional Romani Gypsy music? Are you kidding? She has a trio and an orchestra. Her grandfather Botošov, as famous a Romani band-leader as ever lived, bequested his violin to Barbora. Enough said. Andrea Bučková impresses with calm, strong demeanor. Honed to refinement of managerial and directing skill. 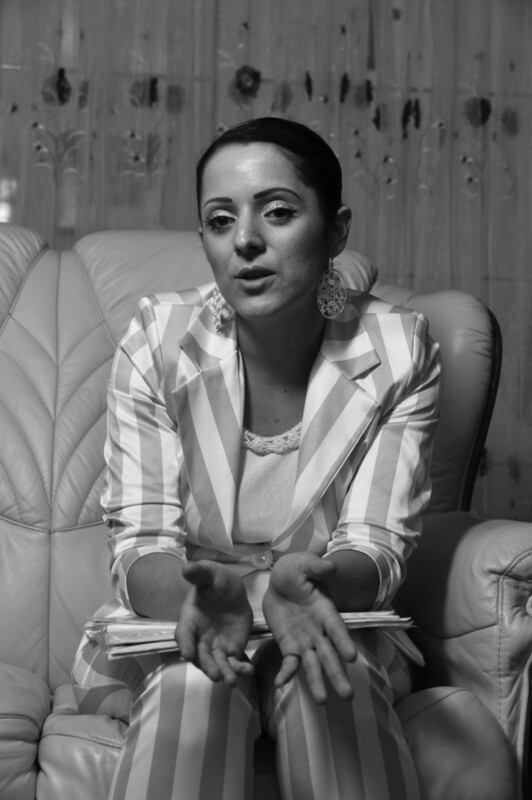 Andrea Bučková, portrayed here in the Office of the Plenipotentiary of the Government of the Slovak Republic for the Roma Communities. Not one to ignore wrongdoing, she went after mis-use of public funds, proved even to her adversaries that a woman who was Romani was quite capable of courage and effectiveness. No surprise that she also is an active leader in the gender movement. We felt ourselves quite fortunate to have gained audience with such a superb public servant. 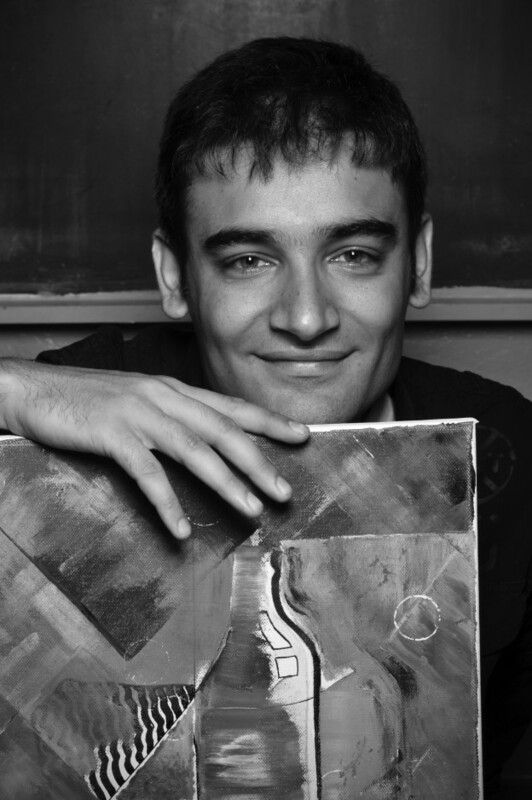 Stanislav Daniel. From the very first attempts at extending RomaRising to Slovakia, absolutely everyone said, "...and of course, you must see Stano." The word brilliant seems somehow inadequate when describing him. He expresses not merely linguistic, but cultural fluencies. 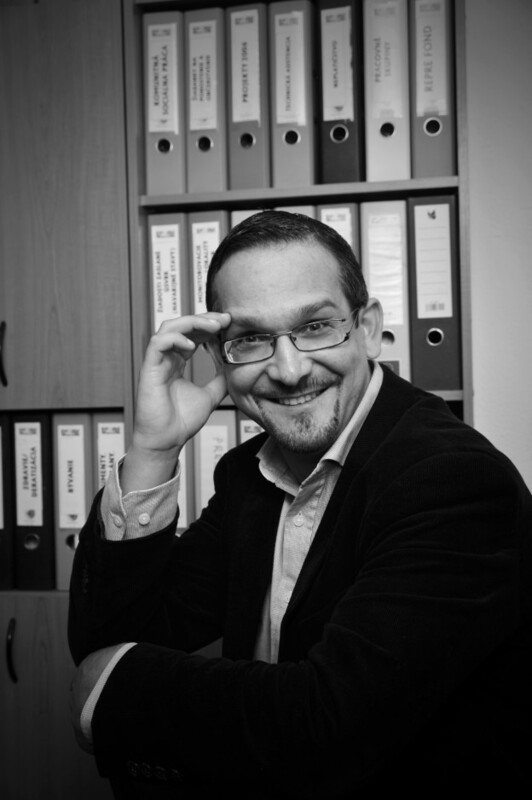 Here is the REF description of him: Stanislav Daniel is the Studies Officer of the Roma Education Fund. 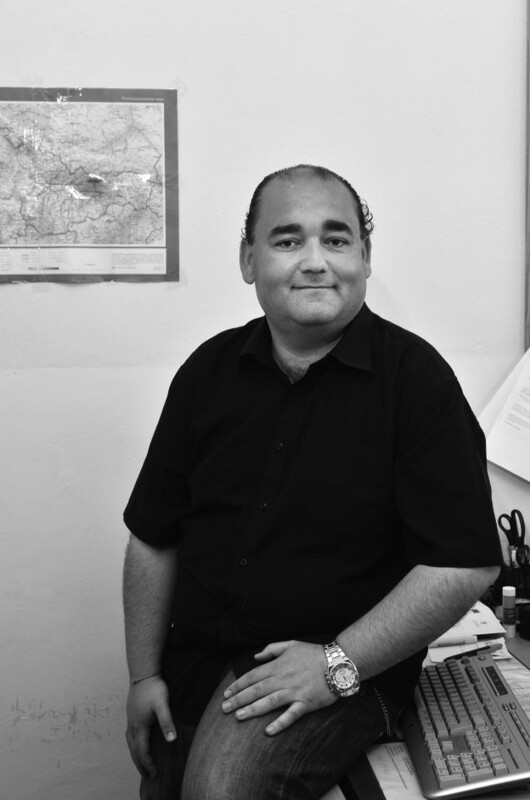 Before his assignment at the OSCE Office for Democratic Institutions and Human Rights as an Officer on Roma and Sinti Issues, he worked for the European Roma Rights Centre as research officer with geographic focus on the Czech Republic, Slovakia and Russia. 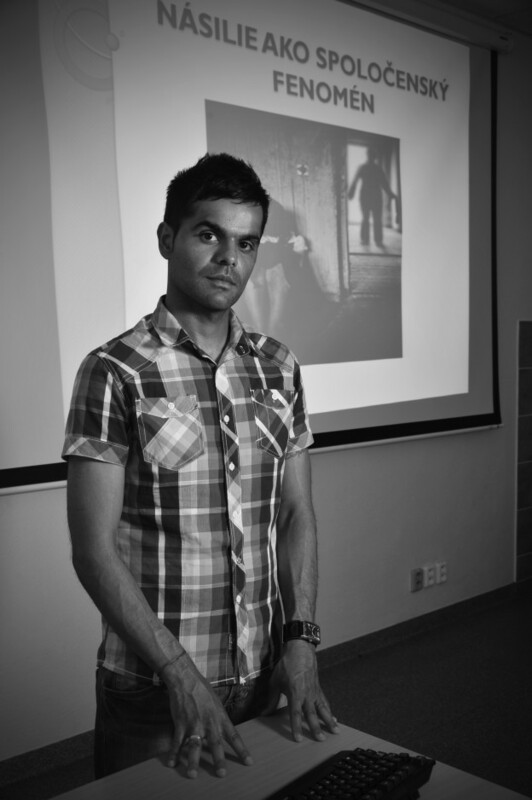 In his professional career he individually conducted several studies, managed teams of researchers and otherwise contributed to research projects aimed primarily at education, but also free movement, state response to anti-Roma violence, implementation and impact of activities, policies and measures aimed at Roma inclusion in the EU. 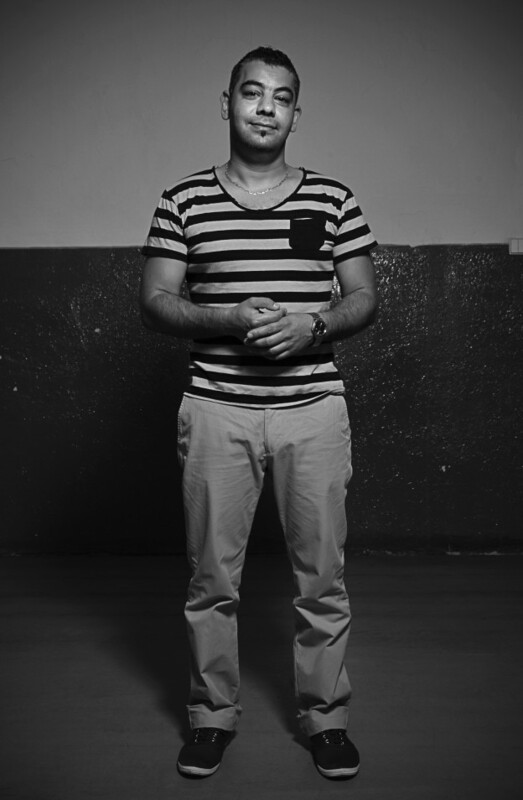 He also has experience of community development and capacity-building of municipal Roma politicians and Roma youth. 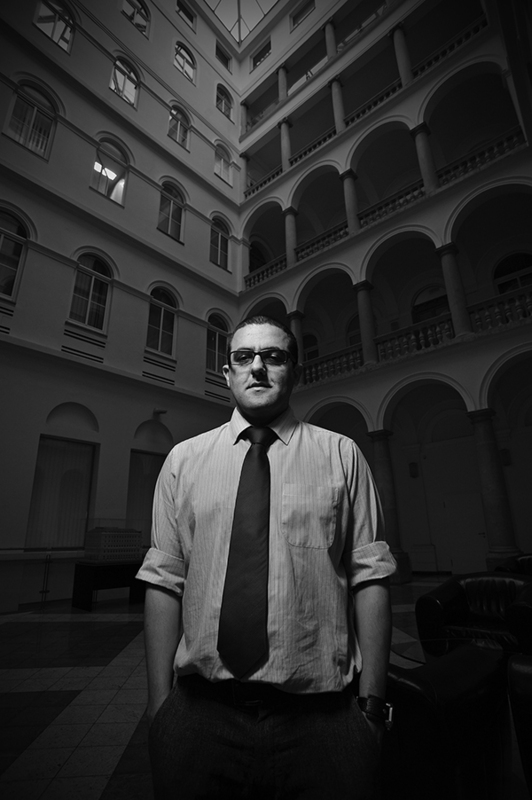 He holds a degree in social work in Roma communities from the University of Constantine the Philosopher in Nitra, Slovakia. They left out something: Stano is a genuinely nice guy. I am very fortunate in his friendship. My mother was an opera singer. Imagine my excitement when I read of Božena Ferencová, greatly respected soprano — then listened to her. When at last she agreed that we could come by, I was delighted. Make no mistake, Mme Ferencová is world-class. She graduated from the University of Musical Arts in Bratislava, where she studied with Eva Blahová. Further studies at the Accademia Musicale Chigiana in Siena, under Maestro Carlo Bergonzi, then master classes in St Petersburg and Moscow. We met at the Bratislava Conservatory, where she conducts class. She offered her singers thrilling example after example, I was transfixed. Now a PhD, she has won myriad international prizes. And is much in demand on the concert and opera stage, internationally. Her repertoire is staggering. My particular dream is to hear her perform in the Fauré Requiem. Her life motto is succinct: Love. Here is Klaudia Ferencová, who has answer with force, pay close attention. 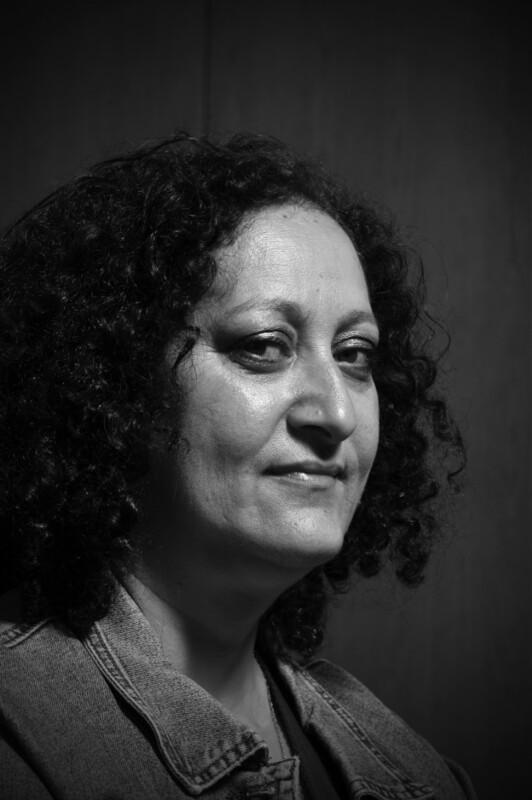 She trains young Romani one-on-one in their rights, in shared law. She then takes them into the public sphere. If challenged on racial ground, as so often is the case, she tells those presenting barrier, Here are the rights of those before you. Either deal with respect, or face legal process. Her results are extraordinary. Few elect to challenge her. I have great respect for Ms Ferencová. The law is her reference. Much as it was for my own people in the US. Erika Godlová is the head of a breathtaking initiative. Archive of all Romani record in Slovakia for the State Scientific Library. We navigated the new installation for this effort, in awe. The very latest technology, the very next filing systems. 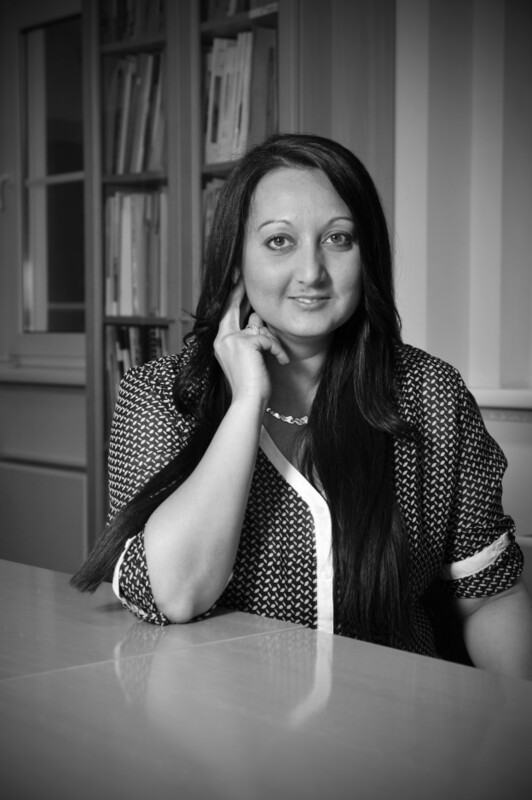 With extensive experience in media, translation from multiple dialects (important for research), regional government, scholarship management for young Roma via the Roma Education Fund, Ms Godlová is eminently qualified for her new work. One hopes that her initiative becomes template for all countries within the EU. Someone universally admired in Slovakia, indeed, across Central Europe. Denisa Havrľová is not just a journalist/videographer. She also is an advocate, intrepid. Always among those on the front lines, her camera in hand. Winner of many awards, her aspiration is to win peace of mind for herself. Expect to hear more from this fearless warrior for human rights. I admire this young artist. Eduard Herák's work truly inspires me, that it emerges from Slovakian settlements, yes, that inspires me even greatly more. Not an easy place to live. I hope he has a fertile future. His young work has much promise. We drove for hours through the most beautiful countryside imaginable, to a farm at the end of the road. Where awaited the sovereign of the realm. Once a herder of pigs, she now cares for chickens and turkeys. And, writes. 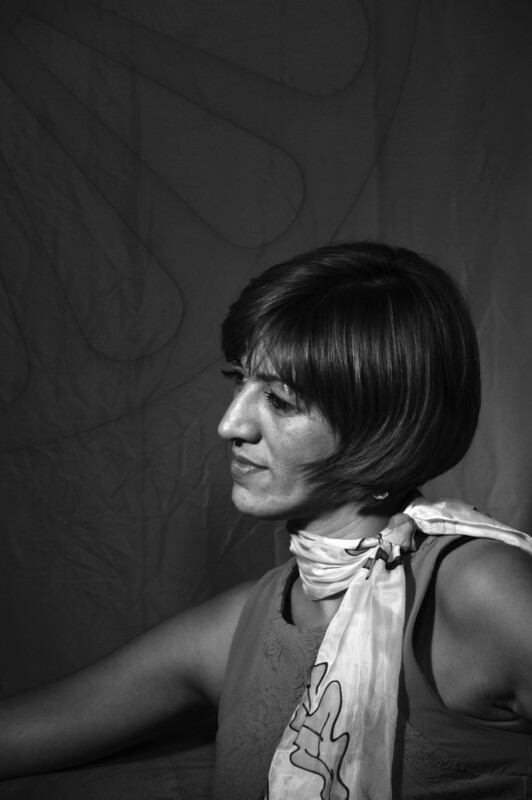 Erika Hornáková does not creep up on you: she freezes one with wisdom, warmth, beauty. While her mother-in-law frets delightfully, smiles, comments, one is drawn to the simple uniqueness in this bucolic tableau: a Romani woman in ownership of land, who also publishes novels popular among all Slovaks. She inserts an occasional Romani character here and there, but she is more concerned with taut plot, procedural logic, all carefully researched, in Slovakia and Czech police records. Later I would learn that Ms Hornáková was not immune in younger life to the ugliness of prejudice. Now, she keeps an eye on goslings wandering across lawn, as she composes on her laptop. The occasional cow looks over her shoulder. As we parted, she mused aloud, Should I kill off my (fictional) character or not? PaedDr ThLic Peter Horváth. Renaissance man. 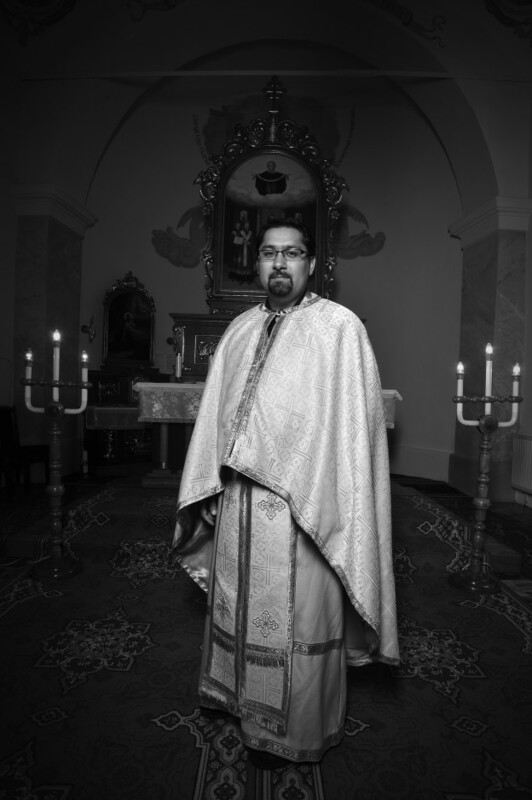 Not only a PhD candidate of canon law, but also author, Chairman since 2003 of the Commission for the Pastoral Care of Roma, Košice. Devout family man. Goatherd. Brilliance in a remote village, greatly respected. Nikola Horváthová is yet another shimmering example of a young person seizing her carved-out opportunity in education to pursue her dreams. From Košice, now studying at the Comenius University (Bratislava), College of Health and Social Work. 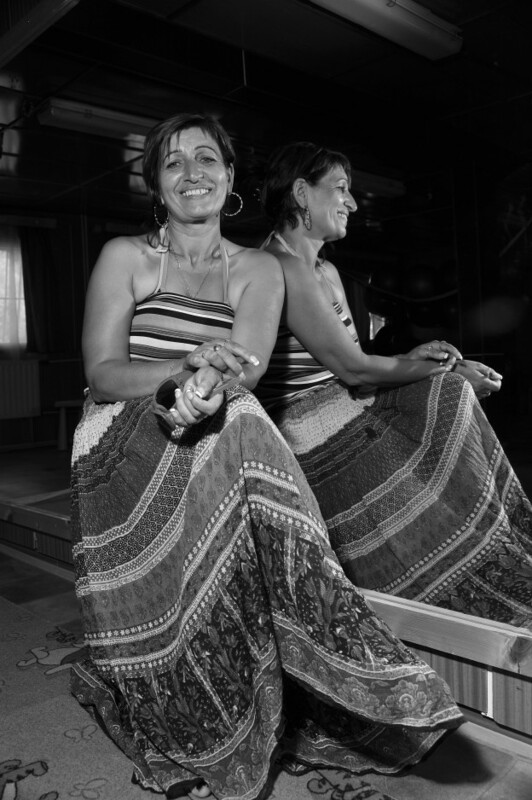 She is the first Romani woman from her community, indeed, her family, so near to her college degree in 2014. She's not stopping there: post-grad in view. She wishes to work on behalf of the Roma, both at national and international level. Safe to say, a star in the making. Unexpected skill: sign-language interpretation, both Slovak and Romanes. Who among us has visited the Emergency Room at hospital. There, one encounters the very best in health care. Not casual, simply the Best. You might find among those, Mgr Jozef Ikri, OR nurse, yourself quite safe in his competent hands. In past experience, photographing flight nurses, OR nurses, Jozef completely filled disquisition, I knew him instantly. He is among that exceptional category. Look carefully into this visage. Mgr Róbert Kaleja. Something stirs question. And it should. Obviously, university degree. Which qualification carried him to the Ministry of the Interior. Beyond, to the Ministry of Defence. Yet, today he is a taxi driver. Honourable occupation. But a country's terrible waste of one of its finest. Do you live as you wish? Not quite, because the conditions are not suitable for life. Spend time with Mgr Kaleja, come away impressed with both deep intelligence, and deep compassion. His future hope: I would like to address Romani issues; finally live a normal life and have a normal job. One is reminded how much talent vanished to Porrajmos. If education is your focus, go no further than to consider Dr Ingrid Kosová. In the small central Slovakian town of Zvolen, she has established the impossible. A mixed ethnicity school, including major Montessori element, this place simply shouts, Yes! Quo Vadis school is located on a quiet street, and rather unremarkable. But enter, and one finds very correct classrooms, music room, exercise room, library, everywhere a climate of welcome and learning. Space for growth. The education experience that any us would have. All directed by a fluent, vivacious, focused professional. For me, son of musicians, the lyric melody throughout this facility resonated beautifully. The sense of inclusion there surpasses so much similar attempt in Central Europe. This miracle of education HAD to be visited, we were not disappointed. Visit Quo Vadis on Facebook. In my country, it has been a given for decades that community policing is greatly enhanced and more effective when officers are members of minorities. A Black cop is more trusted in a Black neighbourhood. RomaRising over time has presented Romani police in several places. Here is 1st Lt Milada Kroščenová, a person with great responsibility, obligation to meet in her community. And quite obviously respected and admired within Hrabušice. We have an expression, "tough, but fair." In Miška you will find an exemplary individual. Oh, btw, her English is terrific, as are her compassion and humour, quite possibly her most effective tools, among many. Mahrime, or "uncleanliness," has been a fundamental part of Romani culture, expressed in yet further aspersive terms. Such that I hesitated to cross the line. 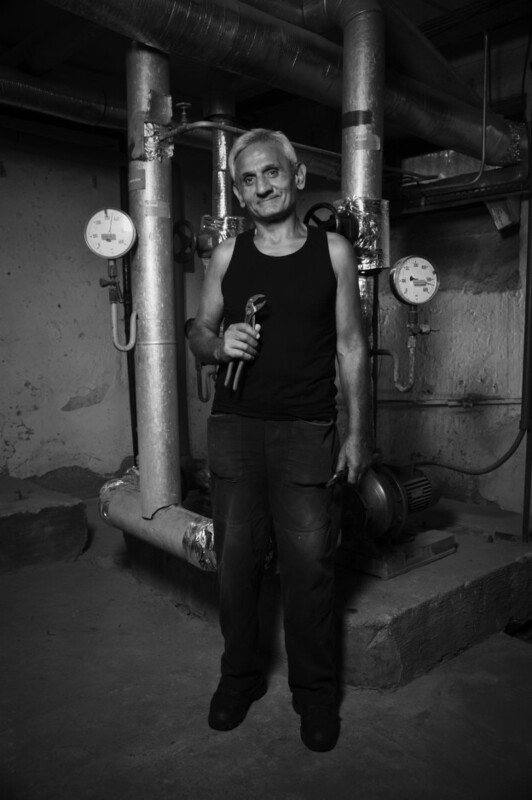 The notion of a Romani plumber is fundamentally mahrime, yet here before you is just one such individual, Mijuláš Lacko, plumber in Košice, and proud of it. Bearer of vocational education, professional plumber, in possession of his licence. His future plans? To continuously establish good friends, and raise his grandchildren. My guess is that where called upon, Mr Lacko's arrival is very much welcome, be one Romani, or not. Here is someone with friends all over Slovakia. Janette (Maziniová) Motlová studied Social Sciences and Health, at the University of Constantine the Philosopher in Nitra. After graduation, she worked as an insurance adviser, laborer, assistant teacher at a primary school education manager for the Office of the Government Plenipotentiary for Roma Communities. She has served as head of youth work development at the IUVENTA Slovak Youth Institute. 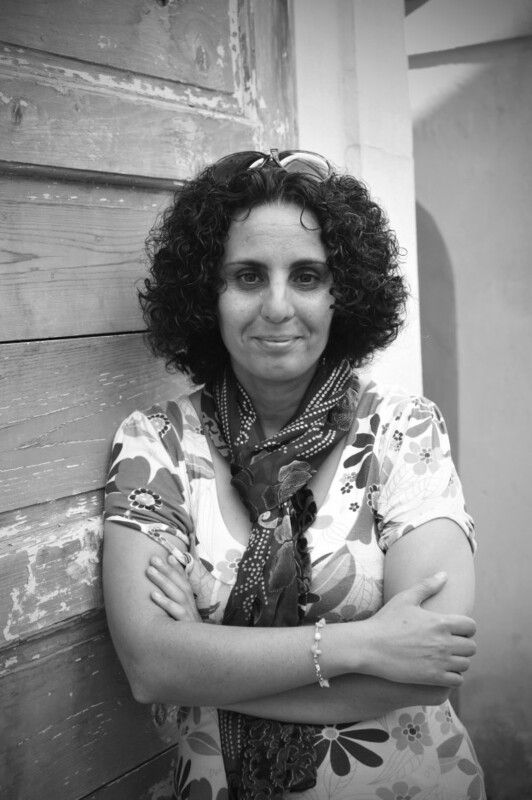 She is co-author of the national project KomPrax — Competencies for Practice – which from January, 2011, has been IUVENTA's goal, to promote leadership and managerial skills in youth. 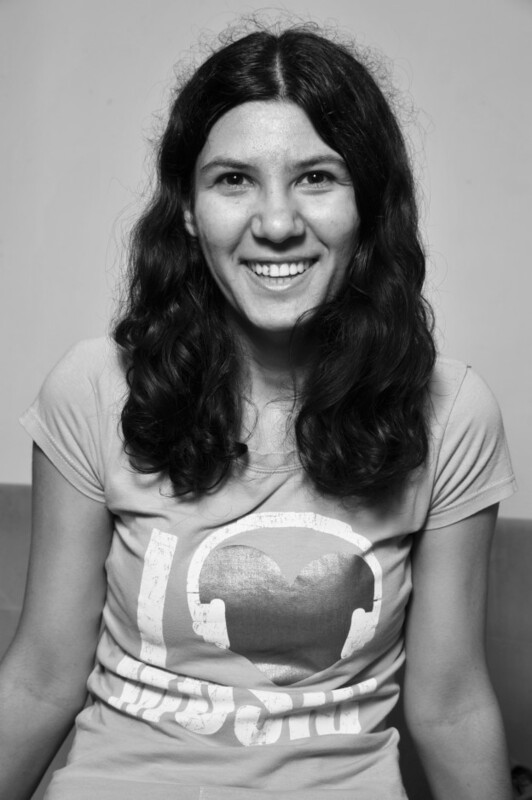 Her blog is maziniova.blog.sme.sk, and in 2009 one of her articles won the Journalist Award for Best Article. She writes movingly of her childhood struggles with discrimination on the part of her classmates. Issues of skin colour were acute, and thrown in her face. Rather than ignore hard-won lessons learned under those trying circumstances, she now works with youth to help them overcome similar issues. She also just published her second novel. Braňo. Who would not love this guy? Totally informed, next to you, entirely in your face. This journalist scours all the internet and posts his own commentary. Getting into central Slovakia to finally meet him, we were immensely rewarded. Branislav Oláh is the real deal. His concern is the common man. 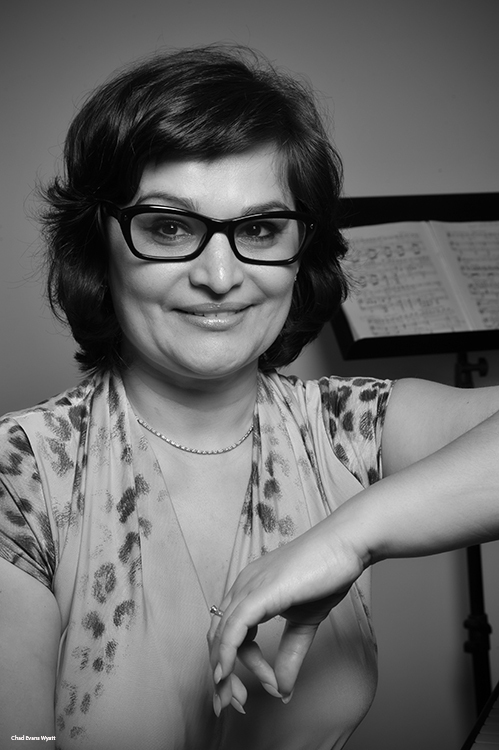 Beata Bislim Oláhová is an official with Roma Education Fund in Budapest. 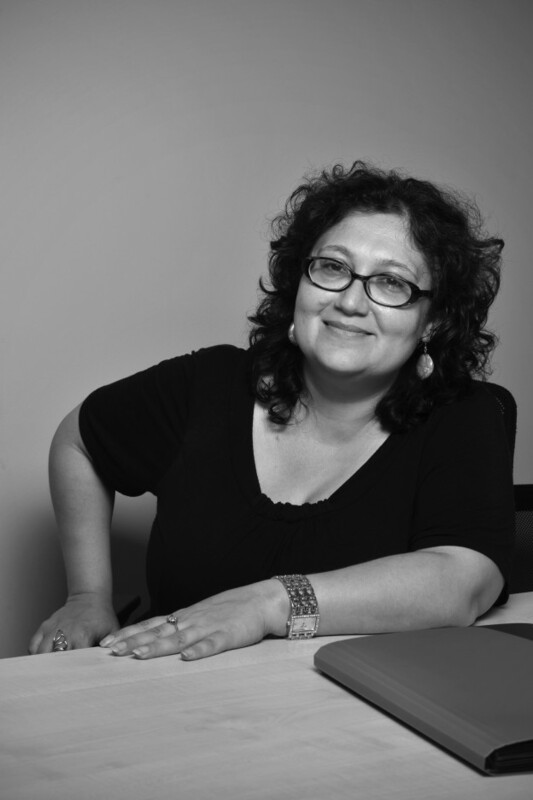 From REF's page: Beata Bislim Olahova has been working at the Roma Education Fund in Budapest as a Project Grant Program Manager since 2006. Beata holds BS/BA honors degree in Business Management and an MBA from the Central European University Business School, Budapest. Since 2007, Beata has been a Member of the Management Board of the European Union Agency for Fundamental Rights (FRA), having been nominated by the Slovak Republic. 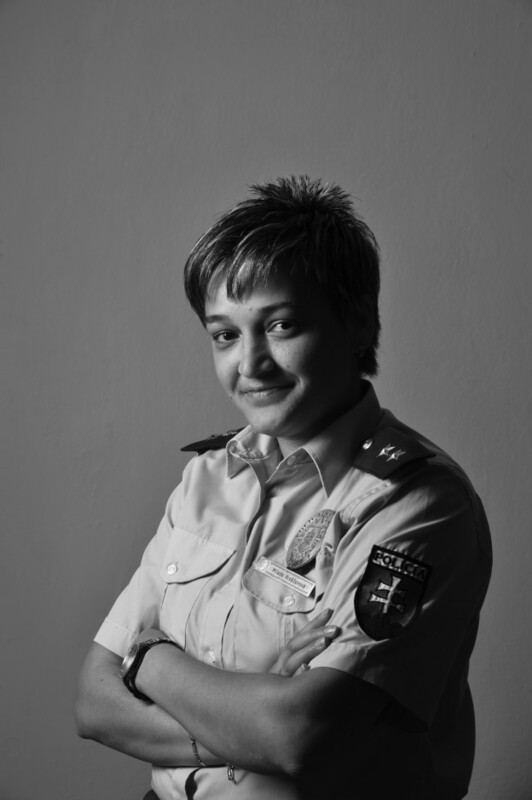 Before joining REF, Beata was involved in many human rights actions; among others, she worked with the European Roma Rights Center as a legal monitor for Slovakia where she was involved in human rights monitoring and worked to investigate potential cases of discrimination and human rights abuse. 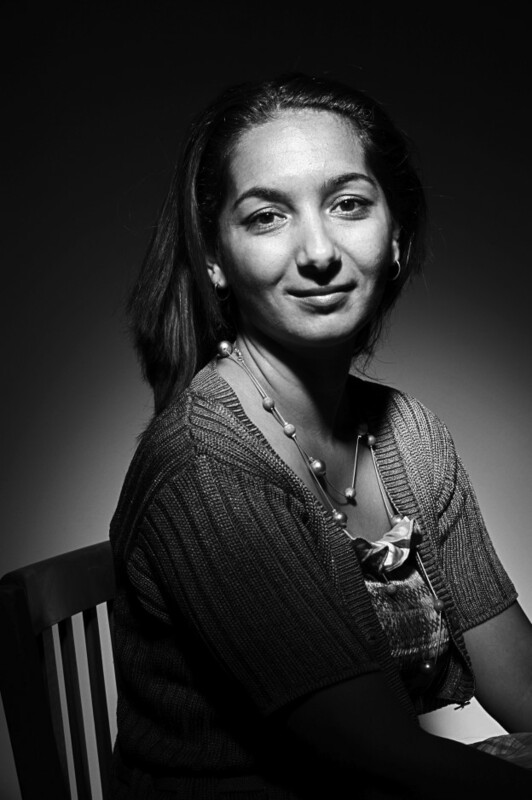 As a student of the post-graduate Roma Diplomacy Program of the Diplo Foundation, she participated and contributed to the international events on Roma Diplomacy, as a Challenge for European Institutions. One cannot but stand in deep awe at Mária Oláhová's presence, persistence, inevitable force. From Detva, deep in one of the most prejudicial regions of Slovakia, she remained in Detva. To become a one-woman agent of change. She founded the RFS twenty five years ago, and has thereby transformed the lives of many destitute in Detva. She additionally organised a Romani choir. In her spare time, acted in several films. Ms Oláhová is a deeply spiritual, probably her source of strength. Pay attention. Mgr Maroš Pecha has a message. Build, create work for others, train. Few know of this man. I like that. 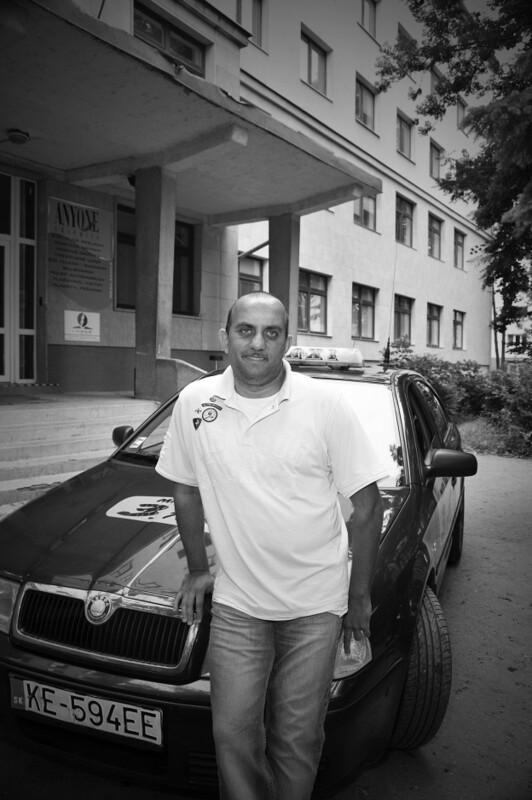 He works below radar, erects housing, trains fellow Romani in the absolute correct manner of the building trades. His father established the template, Maroš has extended that deeply into Slovakia, from original locus in Germany. On a mission, and very seriously so. We were absolutely captivated by his compelling message. Not only income, but training. From the ground up, "We know how to do this." Anyone visiting the extraordinarily solid home he built for his family would see compelling evidence. His conviction had us at go. Mgr Pecha's was the last portrait in Slovakia, so very appropriate. No way to anticipate Danka Pevná, her wealth of exuberance, how could one. The Teacher one would wish for all of us. Danka entered the classroom, and brought sunlight with her. Children racing up, showing their new work. She so invited one to learn. Can we get serious. Truly thus. Dr Ivan Rác is about that. About how family and other violence presents. About how mental health ideation presents, and how such makes us all at risk. Here is someone who addresses that, and more. This is someone who does not shy away from the uncomfortable. Impressive educator at Nitra. We chased through Bratislava, this incredibly important person somehow was there, yet not here, not there. Finally. We connected. And dashed off to make a portrait. Communication, connexion, so very important. Romani deep contact. Before you, Petra Šarköziová, online host, thoroughly media competent, essential. The only presenter of Romani news in Slovakia. www.gipsytv.eu the HIRI. Utterly equivalent to any. We were simply blown away by her complete hip. Way above our heads. What a chance, to include this person from Slovakia. Valued. One learns immediately on meeting Jarmila Vaňová that she is a Journalist, not an advocate. Her pleasant greeting swiftly changes if one has misbehaved as a public official or an NGO officer. 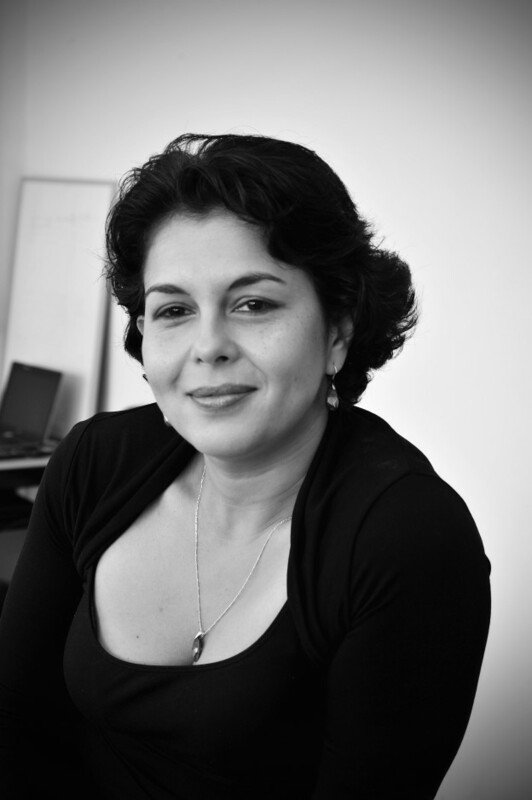 She is Program Director of the greatly-respected Roma Media Center (MECEM) in Košice, in eastern Slovakia. Along with fellow officer, Executive Director Dr Kristína Magdolenová, she has built that organisation into a formidable powerhouse of research, reporting, internet resource. Ms Vaňová does not tolerate hypocrisy at all. She knows legal procedure, and holds lazy public servants' feet to the fire. The MECEM site is replete of incisive reporting, video and print. This is an award-winning venture, deeply committed to finding and reporting facts. And appreciated internationally by those who wish to learn honest answers. The RomaRising project has known MECEM for a long time, finally we met Ms Vaňová in person. She was quite forthcoming with deeply-reasoned advice; we departed full of inspiration.